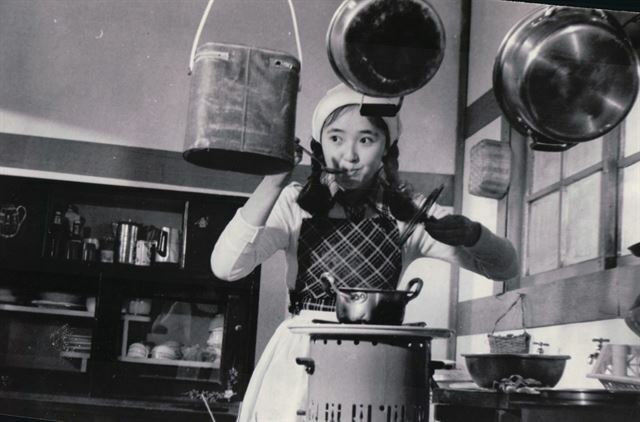 Choi Yu-ri, a former child star who dominated the small screen in the 1970s, vanished from the public eye in the early 1990s. Stars come and go. Thus few people took her disappearance seriously and Choi was gradually forgotten. After a decades-long hiatus, Choi made a comeback ― this time not as an actress or TV show host, but as an author. Choi, 54, released a memoir in November, tentatively titled "Here I Am" published by Barun Books in which she broke her silence about her suffering from baseless media reports in 1991 and their devastating impact on her TV career. Choi claimed she was a victim of fake news. "In retrospect, what happened to me in 1991 was so unfair and traumatic," she said in a recent interview with The Korea Times. "Back then, I regularly entertained suicidal thoughts. I still don't understand why I fell victim to such a disastrous case. I thought the trauma would never go away if I didn't do anything to right the wrong." 1991 was tumultuous for Choi. On the evening of April 11 that year, she happened to see her photo on TV in the nightly news of a major broadcast. She was in disbelief. According to the report, she amassed 10 billion won ($900,000) from fraudulent businesses and then fled Korea for the United States. All three major broadcasts ran the same "fake news." The following morning, newspapers covered the issue, too. "According to them, I was one of the owners of a private company, called Korea Uhak Academy, and earned a considerable amount of money through illegal study abroad programs. I was portrayed as a self-serving, corrupt celebrity-turned-businesswoman responsible for fraudulent contracts. The reports also claimed I had deceived several parents, convincing them to pay excessive amounts of money to send their children to study in the United States," she said. "It's nonsensical. I was at home at that time, watching TV. What made me sick was that no reporters phoned me to check their facts prior to airing these reports." Choi said it is true she knew the CEO of Korea Uhak Academy. According to her, he asked her to be a spokesmodel for his company and work as a guest speaker whenever his company organized study abroad sessions, an offer she accepted. However, she denied the allegations of embezzlement and said she was never involved in the day-to-day operation of the company and thus knew nothing of fraudulent contracts. Choi, along with the CEO and some staff members of the company, faced suspicions that they had colluded in fabricating English proficiency scores and visa documents to make students eligible for their programs in the United States. Justice came through months later. In October 1991, the prosecution cleared Choi on the charges. Encouraged by the investigation results, Choi took legal action against seven media outlets that raised groundless allegations against her in order to rescue her tainted reputation. She won the legal battle. The court sided with her, ordering the media outlets to run corrections. The way the media ran their corrections, however, frustrated her. Some media outlets ran corrections in a tiny section referred to as the "garbage can" which was too small for readers to discover. Despite the corrections, the public was still ignorant of her being cleared of the charges and of the media's fabricated reports. Her reputation remained tarnished. She felt hopeless as there appeared to be no way for her to redeem her image. "I felt like my career was over. I was frustrated by the media and the way they handled the news, so I decided to disappear from the public eye," Choi said. Her career in show business came to an abrupt end when she was only 27. Choi, then 14 years old, appears in the 1979 film "Let's Have Hope." Choi fell victim to the child star curse. Back in the 1970s, she was a household name. She was all over TV. Likened to Korea's Shirley Temple for her cute looks, Choi rose to stardom instantly after her debut in the late 1960s and became the most sought-after child actress. Her small screen dominance paved the way for her career on the big screen and she appeared in several hit movies later in the decade. She took a career break in the early 1980s to study in the United States and returned to Korea in 1986 after completing her bachelor's degree in psychology and film studies at Weber State University in Utah. Then she appeared on TV again as a co-host of the KBS music show "Show '86." Her TV career after a nearly five-year leave of absence did not go smoothly. She was fired from the show less than a year after she took the job. The reason was something she still doesn't understand ― the way she led the show was "too outlandish." It was a sign of what would become of her TV career. She appeared on several TV shows and a film but few of them went well. "In hindsight, back in 1986, I was forced to return to my TV career because our family needed the income," Choi said. "I was thankful to God for the opportunity to work again with TV stations. But to be honest, it was really tough to lead my life in two very different worlds ― one in the glamorous realm of show business, and the other in a poverty-stricken family. Balancing the two worlds was hard as it required a certain level of acting in real life." For Choi, the book project was her own endeavor to repair her damaged reputation. It took four years for her to eventually release her memoir which details the rise and fall of her career as an actress and TV personality. 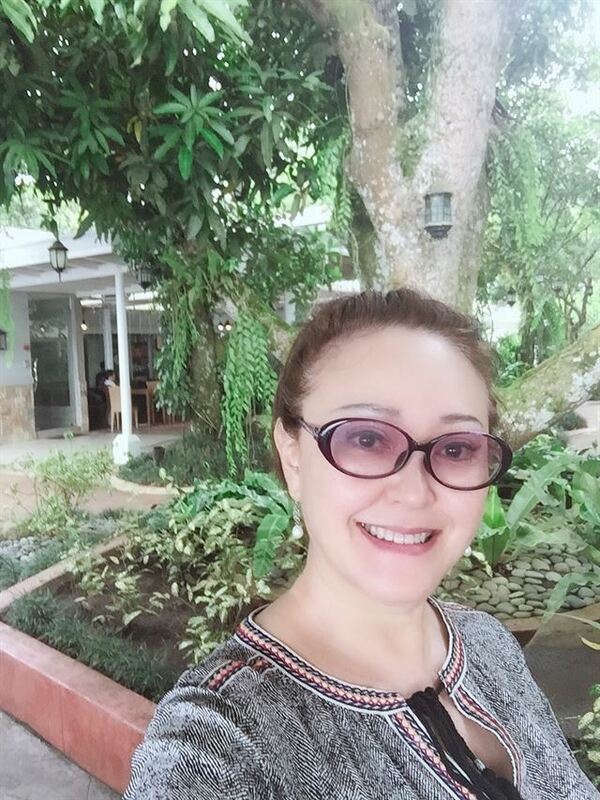 "Here I am" elaborates on her childhood after she debuted as an actress at age three, her life in the glitz and glamour of show business, and her decision to suddenly quit her TV career after 14 years when she was 17. In the memoir, Choi compares her eventful life to Korea's turbulent modern history after the country was liberated from the Japanese colonial rule in 1945, then the Korean War and the double-digit economic growth in the 1970s which came at the expense of human rights suppression. "I think there are parallels between my life and Korea's dramatic modern history. My career peaked in the 1970s shortly after I made my debut and I became swirled in turbulence in the 1990s because of the fake news," she said. "I thought the peaks and valleys of my career are similar to the highs and lows of Korea's modern history, and the turbulence of the history of this country was partially responsible for the truth about me being buried for so long, ultimately cutting my career short." If she had lived in a stable society, she said she would not have suffered such fallout from the baseless reports about her in 1991. In a healthy and stable society, she said, fake news is corrected immediately. For Choi, her planned career break in 1982 was a milestone event as her career had been showing signs of entering a downward spiral. Choi said in 1982 she decided to take a break from TV to better prepare herself for her future career and transform from a teenage actress into a grown-up star. Having a break for transformation was initially her mother's idea. Choi said she agreed with her mother's suggestion to study in the United States partly because she was under pressure to balance her TV career and high school studies. She became "a victim of the expectation game." She said she felt mounting pressure as she got older and the college entrance exam approached. "I was depicted as a perfect teen who did a good job on TV and also had a great academic performance. But as time went by, I found balancing the two harder and harder," she said. "So the idea was that I buy time to lead my own life as a full-time student and focus on my studies and return to the screen after having successfully transformed into a fully grown-up star." Choi poses while shooting the now defunct broadcaster TBC's hit TV series "King's First Love." She played a queen in the 1975 drama. Choi said she owes her success to her mother. But she noted the opposite is also true. 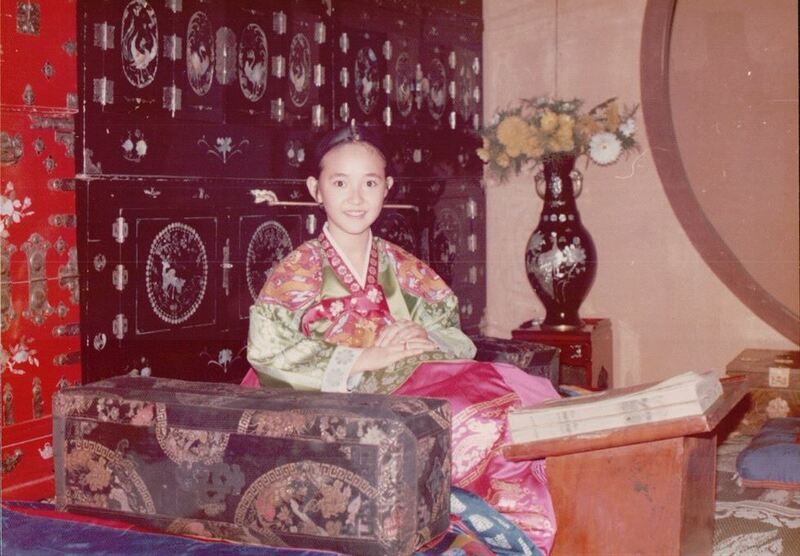 "My mother made me as she helped me be discovered by a filmmaker in 1967 in a park in Seoul. My mom took me to the park for a walk and there was a crew shooting a film. They had a situation. A baby who was supposed to show up there for the film project couldn't make it because of illness. They found me there and that's how I came to make my debut as an actress," Choi said. "While it's true that my mother was a key person who helped me rise to stardom, she is also responsible for the misfortunes of my life. She is such a naive and innocent lady and is easily duped by people." Choi said her mother's "mismanagement" of her wealth put her in trouble several times. "I don't know how much I had made because I was only three when I debuted and had extremely busy days till 1982 when I was 17. I appeared in many TV series and films and was a model for confectionery company Haitai for eight years. So I presume I made quite a fortune during the 14 years of my career before I went to the United States to study," Choi said. Her successful TV career came amid her father's failed transportation business, causing her to become the breadwinner of her four-member family at a very young age. When she returned from the United States in 1986 after her nearly five-year career break, Choi found all the money she had made was gone and her family was separated ― her father and younger brother lived in a shabby underground single room in a poor area of Seocho-dong, southern Seoul, while her mother was missing. She heard from her father that after she left Korea, her mother invested quite a fortune to start a business with a business partner, which later turned out to be a fraudulent investment deal. She was unable to repay the debt she borrowed from other investors and lived in an unknown location somewhere in the country. Her father and brother had been out of touch with her mother. Choi said her relationship with her mother was something akin to a love-hate relationship. She said she blamed her mother many times, but not openly, because the financial loss had left her entire family in poverty, causing her to take on the financial burden for the whole family. Her father was unable to work because his hands had serious burn scars. Her younger brother was at that time attending university. Choi was reunited with her mother years later after her mother reached out her. "It's difficult to define my relationship with my mother. She is the closest person to me and I would like to help her live out the rest of her life happy," Choi said. "But deep in my heart, I still have some resentment towards my mother. 'Why did you do it to me? Why did you make my life so hard? Why?' These are the questions I have had in my mind during my life but I never said them out loud because my mom is sick in bed now and I am afraid my criticism could cause her to develop a serious health condition." Her mother's health declined after she underwent a kidney transplant. Choi's younger brother takes care of her. Choi is working on a new book project. She said there are more stories to tell regarding her life and this caused her to work on a follow-up memoir. "My second book will be more about the happiness I found after I met my husband, while still wrestling with the traumatizing experiences of the 1990s," she said. She has been married for 20 years but declined to share detailed information about her husband, saying he wants to stay out of the public eye.